Today’s post is simply an excuse to share a recipe with you. It’s from my forthcoming memoir cookbook. My father was a great baker, and cheesecakes were his forte, but for me, this recipe was his most evil. 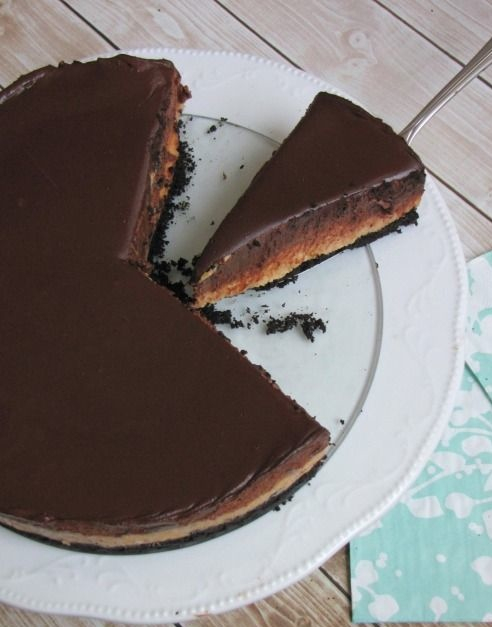 I’m crazy about peanut butter as it is, and cheesecake is my favorite dessert, so when he combined the two (and topped it with a chocolate sour cream), he really hooked me. It must be twenty-five years since I first tasted this, but even today, as I write this, I clearly remember anticipating my next slice. One morning I awakened and had a slice right after breakfast. (This is admittedly over the top. I mean, I have to draw the line somewhere, don’t I?) The following morning I simply had a slice for breakfast, with a cup of strong coffee, of course. Nutritionally speaking, it’s not my proudest moment, but it is at the top of my list of extremely pleasurable food memories. And there’s nothing evil about that. Prepare the crust: Preheat oven to 350 degree Fahrenheit. Butter the bottom and sides of a 9-inch springform pan. Combine all ingredients in a food processor until the crumbs are uniform and the mixture begins to get sticky. Press the mixture into the bottom and up the sides of the prepared springform pan. Mix the filling: Combine all the ingredients in a food processor (or use a standing mixer/hand mixer). Spread filling evenly in the pan with the prepared crust. Bake until the center is firm, about 70-80 minutes (the center may crack a bit; this is normal for cheesecakes, so don’t worry). Remove cake from oven, but leave oven set at 350. Let stand at room temperature for 15 minutes before adding topping (you will bake it 10 minutes more after you add the topping). Prepare the topping: Blend all ingredients using a standing mixer/hand mixer. Spread evenly over cheesecake, and bake 10 minutes in the 350 degree oven. Let cake cool completely before running a knife around the edge and releasing from the springform. Refrigerate at least three hours before serving. Can be made the day before. The prompt this time involved generating two lists (for a detailed description of the list exercise, click here). At the top of one list, I asked everyone to write down this phrase: “I’m never going to be,” and at the top of the other, “I’m always going to be.” After that, everyone free writes any associations, images, or words that go with each list title. The list exercise always produces some surprising results. My list included, “a survivor of loss.” As much as I have a troubled relationship with that word, survivor, I also know it’s the truth. I am a survivor of loss. 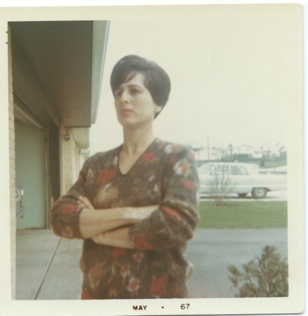 The greatest being (I’ll bet you can guess if you’ve ever read this blog): my mother. Here she is, showing up again, having her say. Mama shows up now whenever she feels like it: in my own stern voice at the head of the classroom; with my oldest nephew as I hug him good-bye before he moves away to start his new, young life; in the grocery store check-out line, when a young woman in front of me sparks up a conversation about salmon dinners and surly fellow shoppers. She’s non-linear. Sometimes she’s young and crazy about dancing in front of the stage at a Frank Sinatra concert (they drove two hours each way to see him); sometimes she’s matriarchal and round, leaning back on her chaise on a screened-in-porch, the sound of crickets in the yard behind her. The next moment she’s that virgin on a train on her honeymoon, heading to New York City, asking my father, “Well? What are we waiting for?” And then she’s that woman in her late 40’s, painting her face with creamy concealer and black mascara, orange frosty lipstick. She’s the aging woman with silver roots planting red geraniums, and the little shrunken body in bed. She’s a voice, coming forth when I plunge the trowel into the damp earth. Root-bound violets and succulents with pink flowers. When I kiss the little dog on the nose, or hold the baby at my hip. She’s scotch on the rocks, and lilacs in April, and coffee in china cups, and a good friend who listens without interrupting. A voice disembodied, but present. She scrambles eggs and calls everyone to the table before they get cold. Our lives diverge, cross, align, separate. Now you hear her, now you don’t. Who knows what she’ll say the day we wade out into the ice-cold water on the first day of Autumn? She may be permissive; she may be silent, her voice and body there in our own, her face cloudy, or lit up like the sun. I don’t speak for her anymore. I let her do and say what she wants. When she has something to say, she’ll make herself known, she’ll make herself heard. She always has. She always did. The prompt this time was The Five Word Free Write (click here for a detailed explanation), and the words were: Swans, Green, Cherries, Glaciers and Holding. A five-hundred calorie dinner, and twenty minutes of cleaning an apartment the size of a postage stamp, will not give you tight abs, I can tell you that right now. And why should I care anyway? I don’t want to snuggle up with a washboard, do you? Still, during an afternoon meeting, I could feel my stomach pressing against the top button of my jeans, and it felt fat. I felt fat. Later, at the gym, I was pumping away to Kylie Minogue—Get outta my way!—the elliptical promising 3500 steps in twenty-four minutes, 275 calories melting away, when on the flat screen above me one of those ninety-minute commercials for a $40 wheel with two handles promised abs of Zeus. Could it really be the answer.? “Cut your fat intake in half,” a personal trainer told me. “And avoid sodium.” Okay. No more salami, right? The guy on the screen was in tiny shorts, lifting his arms above his head and showing off a torso that was closer to a topographical map. 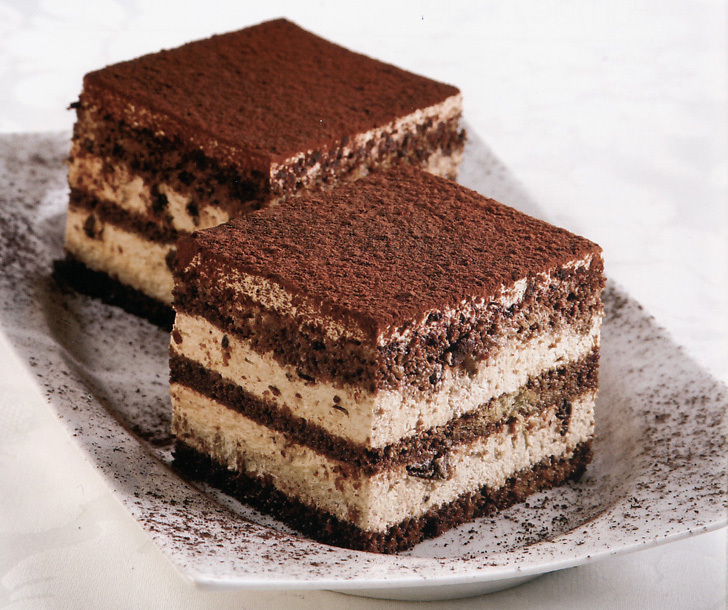 When did he last enjoy a tiramisu? Twenty years ago? Never? “You look great,” people tell me when I’m wearing under-eye concealer and loose T-shirts. But how do I look naked? Only my ex will tell you that. “You have great skin,” he used to say, reaching across the bed, pulling me toward him. Great skin. Lots of it. Especially around the middle. The middle-age spread, isn’t that what they call it? Who do I find attractive? I ask myself this at Bear Bar Berlin. Outside, the sky is starting to lighten; inside, the bearded boys are groovin’ to heavy House music. These guys are skinny. They aren’t bears at all: they’re wolves. Only the little thick guys do it for me. Who wants to bump booties with a bag of bones? “Here,” Ricky says, handing me a glass of sparkling wine on the rocks with two fat black straws. My wine salesman father is turning over in his urn, but I like this drink. It makes me feel skinny. Sofia Coppola skinny. Wine in a pink can skinny. “See anyone you like?” Ricky asks. “They’re all too skinny,” I say, feeling like a baby whale. Who wouldn’t love a baby whale though, right? Only one guy in the whole place catches my eye, and he’s working safely behind the bar. He’s got meat on his bones. Not like the rest of these waify, hungry wolves. He’s the only one I want to nibble on. I can’t help it. When I’m hungry, I need something to sink my teeth into.